LA Times features OWSP: World View – One World Sight Project, Inc.
No matter how many times Newport Beach ophthalmologist Richard Weiss shows visitors a videotape of blind, destitute people waiting hours for surgery they hope will bring them sight, he’s the first to tear up. For more than 10 years, Weiss has worked to restore the sight of poor people in places such as India, South Africa and Haiti, where the blind line up by the hundreds for his free surgeries. He has seen, and treated, children with opaque, unseeing eyes like those pictured on his video. Realizing that one person alone could do little to cure world blindness, Weiss set his sights higher. 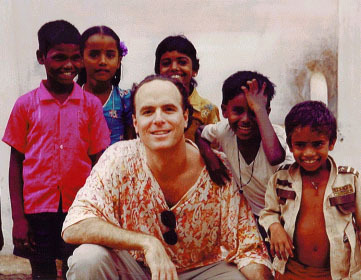 In 1989, he started the One World Sight Project (OWSP) Inc., to mobilize members of the entertainment industry, corporate sponsors and eye-care providers to support international ophthalmology. The project’s goal: to create a united fund to expand programs that provide eye care to the world’s poor. As OWSP president, Weiss has spent the last decade lining up the kind of endorsements he felt necessary to lend credibility to his cause. Now, with the participation of leading ophthalmologists, the backing of blind pop musician Stevie Wonder and the encouragement of a famous former patient, South African President Nelson Mandela, he’s ready to put the OWSP in the global spotlight. For citizens of undeveloped countries, loss of eyesight can be a death sentence, Weiss said. Many countries don’t have the kind of social services available to the blind in the United States. “Blind people want to help themselves, but in many countries they are reduced to just begging,” Weiss said. The lucky ones find menial, repetitive jobs, but everyday living is still hard. Of the 42 million cases of blindness worldwide, Weiss says, 80% could be prevented or treated. The 20 million people blinded by cataracts in both eyes could be cured with a simple 20-minute operation that costs about $30, Weiss said. So far the OWSP has raised about $75,000 and hopes to net $25 million to $75 million by staging a global fund-raiser. Weiss envisions a telethon held simultaneously in the United States, Germany, Japan and England. Each telethon would broadcast documentaries of A-list musicians and artists who would travel to countries where blindness is endemic and record their impressions of patients having their sight restored. During the telethon, the OWSP hopes to provide cataract surgery to 5,000 to 25,000 blind people around the world. If anyone can pull off the telethon, it’s Weiss, said OWSP board member Robert Welsh. “Rick is the front leader of the big-bucks raising,” said Welsh, president of the Volunteer Eye Surgeons Assn., whose members alleviate cataract blindness around the world. Welsh’s son, Derek, serves as director of development for the OWSP, which has quarters at Weiss’ Newport Beach office. Weiss, 45, is a renaissance man. He specializes in laser vision correction and ophthalmic plastic and reconstructive surgery–high-tech eye care. He has invented devices making laser eye-surgeries easier and safer to perform. Weiss enlisted the help of colleagues, speaking before the American Academy of Ophthalmology and Volunteer Eye Surgeons Assn. “We’ve united worldwide ophthalmologists in a way that’s never been done before,” he said proudly. He contacted Wonder through a musician friend and sent him a tape of “One Spirit.” After several years of “nurturing the relationship,” Weiss signed Wonder as an OWSP advisor. Weiss once gave Wonder a book of embossed reproductions of artworks by Picasso. Weiss met Mandela in Johannesburg, where he volunteered to perform a delicate reconstructive eyelid procedure on the president about five years ago. Mandela’s eye doctor contacted Weiss because he knew of Weiss’ reputation as a pioneer in ophthalmology. Mandela was impressed with Weiss’ concept and, because of their meeting, the OWSP plans to support eye-care development in South Africa and Mozambique. Despite his celebrity connections, Weiss has kept a low profile, worrying that some would mistake his zeal for an attempt at personal or political gain. His associates say he’s sincere in his efforts to end curable blindness. “He’s not out there trying to be a missionary. He’s out trying to coordinate a large number of groups dedicated to wiping out blindness,” said Richard Kratz, a retired ophthalmologist in Newport Beach and a member of the OWSP advisory board. Weiss’ interest in world blindness began in 1983, during the senior year of his ophthalmology residency at Georgetown University, when he spent three months in Haiti performing eye surgery on the blind. At home, Weiss also volunteers with Share Our Selves, a Costa Mesa-based agency that provides food, medical care and other services to the needy; Weiss donates eye care. He makes special hospital visits to his own patients when he knows they’re lonely, and he makes house calls–by car, by bicycle and, once, by canoe. Duties with the OWSP take up about 20% of his workweek and much of his weekends, when he’s not busy with his wife, Portia, and 3-year-old son, Remy. He often stays up past midnight writing letters to potential OWSP sponsors. Anyone, that is, who has seen what he has seen. 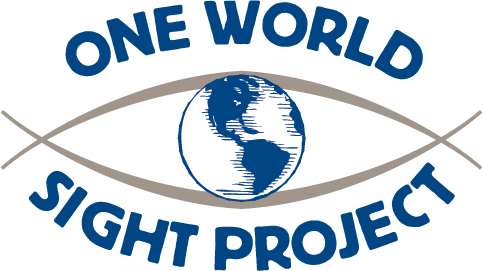 The One World Sight Project can be reached by calling (949) 500-7957 or visiting its Web site at http://www.owsp.org.